Some 200 students in the Class of 2016 will receive their medical degrees June 3 during the Hippocratic Oath Ceremony for the David Geffen School of Medicine at UCLA. Earning an M.D. requires grueling hours, demanding classes and unwavering focus. The following students hurdled enormous obstacles to achieve that goal, making their accomplishments all the more remarkable. Teen mother overcomes lifetime of abuse to achieve M.D. Rebecca Lopez, 37, from Covina in the San Gabriel Valley, survived childhood abuse, became a mother at age 14 and endured a violent marriage, but never surrendered her dream of becoming a doctor. 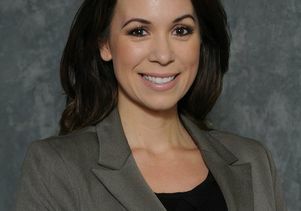 At 27, she returned to college at UCLA and was chosen for a prestigious Albert Schweitzer Fellowship in medical school. Her project helped pregnant girls in East Los Angeles prepare for motherhood, and drew heavily on her experience as a teen parent and survivor of domestic violence. After completing a residency in family medicine, Lopez said her goal is to inspire teen girls to follow their dreams, no matter the obstacles. Her daughters, ages 13, 18 and 22, have taken her message to heart. Her middle child, Emiko, graduates high school three days later. She will continue her education at UC Riverside and plans to become a physician, just like her mom. Luz Corona Gomez, 30, from Fresno, was born to migrant farmworkers and helped her parents pick grapes as a child during sweltering summers in the San Joaquin Valley. Her parents crossed the Mexican border without documentation to give their five daughters the education they never received. Gomez was recognized by the American Medical Association and Gold Humanism Honor Society for her compassionate care to minorities and the poor. After residency, she plans to practice OB-GYN near her hometown in the San Joaquin Valley and serve as a role model to low-income children. Her siblings are equally impressive: her older sister is an attorney, another is a public policy expert, one younger sister is a UC Berkeley alum applying to medical school and the youngest is a UCLA grad debating a career in law or medicine. Frank Hebroni, 28, from Westwood, was born into a Jewish family in Iran, during the height of the revolution’s religious persecution. His parents emigrated to the United States when he was 2. He is a three-time cancer survivor, overcoming sarcoma of his right eye at age 9 that left him visually impaired and acute myeloid leukemia at 14. When he was 23 and enrolled in medical school, his leukemia relapsed, forcing him to take a three-year leave to undergo a bone marrow transplant. After months of hospital isolation, he finally met his bone-marrow donor, an older man in Germany who was honored to save a Jewish life after his country’s WWII legacy. Hebroni will pursue a residency at UCLA in diagnostic radiology. He looks forward to practicing medicine with the empathy he’s gained firsthand as a cancer patient. Harry Mai, 26, from Manhattan Beach, grew up hearing stories about his grandfather, a South Vietnamese leader who was killed during the Vietnam War. To disguise his identity, Mai’s father was raised as an orphan and bounced from home to home — an experience he never forgot. Now a pediatrician in Long Beach, Mai’s father supports an orphanage in Vietnam, which Mai has visited more than 25 times. Moved by the sight of so many poor children suffering club feet, scoliosis and other surgically correctable conditions, he will enter a residency in orthopedic surgery at Harbor-UCLA Medical Center. Friday, June 3, 2016 from 5-7 p.m. Spaces for oversized trucks are extremely limited. Please RSVP to the media contact by 11 a.m. Friday to reserve a spot. Journalists arriving in passenger vehicles should enter campus at Westholme and Hilgard avenues, obtain a pass from the kiosk and park in Structure 2.